For a kitchen that really inspires your home: Thema is the moka espresso maker realized in 18/10 steel and equipped of thermic bottom. This characteristic will allow you to use it also on magnetic induction plates. Through the exclusive Titan Coat procedure Serafino Zani has obtained a perfect matching between titanium and inox steel, realizing a product that exalts the characteristics of perfect resistant and healtfulness of both the materials. The handles is an original steel spring that, thanks to its form, disperses the heat avoiding any burning danger. 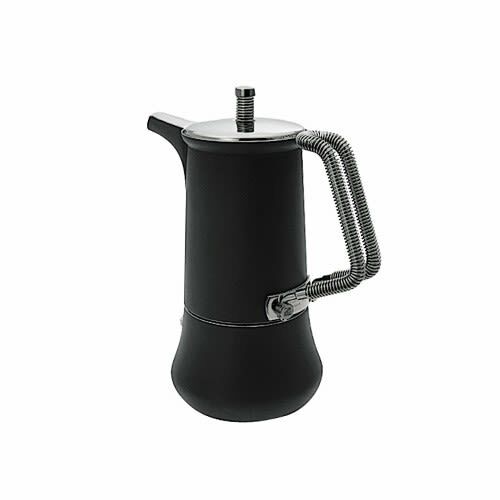 An accessory that will accompanies your coffees with a touch of classic style.